"If you could tell the world about just one new product, which one would it be?" Bookmark this page on your mobile device so you can easily access it while meandering around the aisles of the Pennsylvania Convention Center. All pages on inside.lighting are mobile-responsive, because we are well aware of your unhealthy dependency to your smart phone. LiFT with BIOS technology offers a wellness lighting solution to help regulate circadian rhythm. 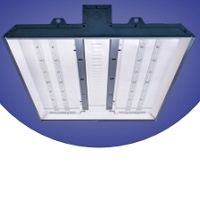 Exceeds high & low bay illumination requirements for industrial, commercial and retail applications. Vision-enabled edge devices using artificial intelligence to make decisions about light levels. Power and microprocessor control for up to six 2'x2' fixtures over a single category five cable. An adjustable cylinder with a stylish Twist from CSL. Visit Booth 701A & see more innovation! The BIO2 places light with precision like never before with remarkable optics. NX Distributed Intelligence, SpectraSync, PowerHUBB on Full Display. Intuitive lighting using the IoT to deliver smart building solutions through HW SW and services. Luminaires with new forms, customizable configurations, RGBW color changing and low glare. Universal provides the most advanced lighting controls and LED components available today. Adjustable luminaire features patent-pending optics in an ultra-sleek design. Part of a full family. 1/2inchH x1/2inchW with powerful LED illumination. Adjustable leveler. Sleek canopy. 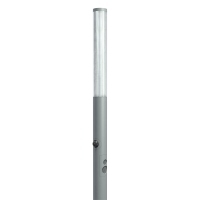 277v IP66 factory sealed watertight landscape LED bollard. High CRI, lumen output, long life. Dimming. Gyroscope inspired openwork, individually adjustable rings for custom look. Titanium finish. Dimming. With multiple finish options, the Orion sconce flexes versatility along with sleek, minimalist style. EYELED™ Glass Jacket LED Lamps utilize AC Direct Driver On Board and Patented Thermal Technologies. The GlowRing series features a seamless one-piece diffuser that eliminates diode imaging and glare. 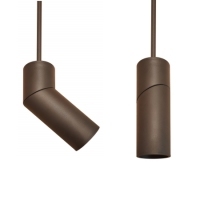 Modular linkable pendant, surface or wall-mounted driverless fixture for countless configurations. 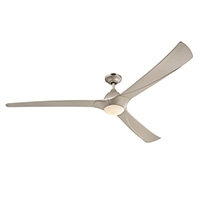 72" DC Motor ceiling fan features sleek Titanium Finish & energy-efficient integrated LED light kit. Exemplary 70,000 lumens. Dimmable w/ integral, wireless sensors. Unique silicone optic benefits. Family of spot and flood lights available in White and RGBW versions. A versatile lighting system featuring easy installation and compatibility with multiple luminaires. Internal dimming function using existing on-off switch eliminates need for external dimming controls. DLC premium and NSF listed high bay available in 9,000, 11,000, 18,000, 24,000 and 29,000 lumens. CEO Olaf Berlien said OSRAM will find it tough to meet its full-year targets due to weakening demand. Deemed a worthy outsider candidate by local media, a decision to run is expected in November. Local residents and government officials continue to debate health risks of LED outdoor lighting. A new report examines energy savings, biological/circadian effects and installation. One large region of the country has been the softest for 8 of the last 10 months, though. See You in Court. Title 20 Under Pressure. LSI Industries earnings call includes news of Toney's departure. 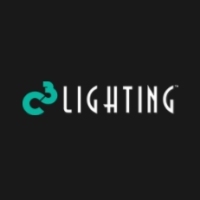 Lighting Controversy: Coming to a Town Near You? Is Disagreement in a Midwestern City Indicative of Widespread Push-Back? What do you get when a #1 agent and a #1 conglomerate expand their partnership?